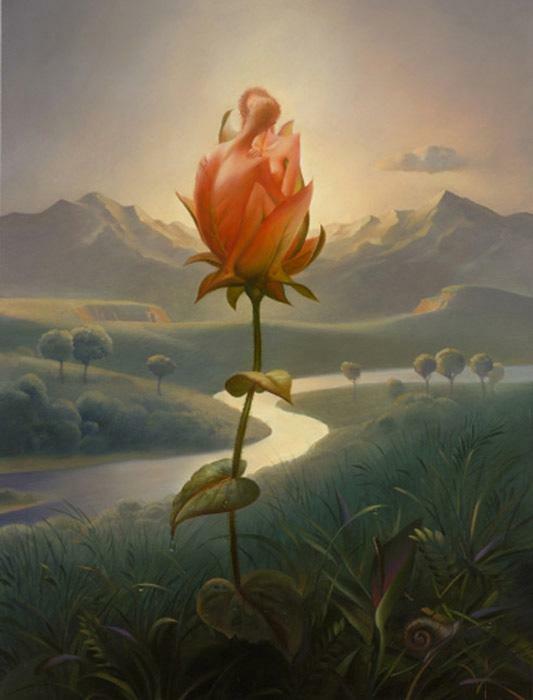 I fell in love w/ Vladimir Kush’s work years ago in a small Santa Fe gallery that was featuring his work. For the life of me I can’t remember the gallerie’s name, but it was magical getting to see his work and others like him in person. This is just a small sample, I love his style and how the colors seem to glow in some of his paintings.